Torrents and CMGE China tour recently released a leisure card hand whitebox handset game “call of the dragon”, the pet nurturance, SanXiao against game fusion, with Android and iOS version two. “Yu quan” is understood to be the game by the music combination investment. 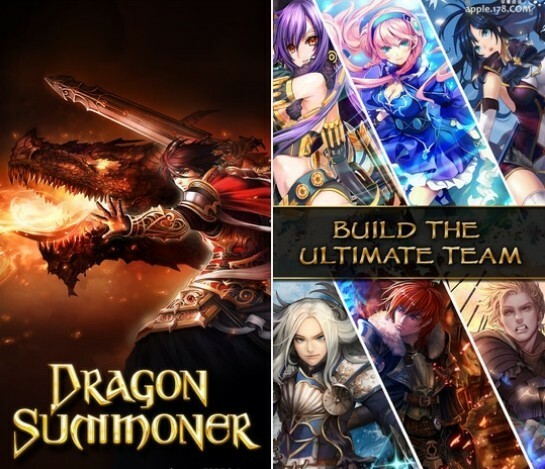 It is reported that “call of the dragon” is “infinite by Beijing science and technology development co., LTD., research and development, using UNITY3D game engine, the whole development team has 12 people, the development time for nine months. This is not their first game after they also launched a mobile phone of wuxia SanXiao game “wulin leader”. The game iOS version issued by torrents and operations, Android version released by CMGE China hand tour operations. “Yu quan” combination, hu haiquan, according to one of the investment long before there is a mobile game idea, choose investment “mainly focuses on the team, innovative ability and entrepreneurial passion. Current card games are across the whole of Asia, Japan was launched in 2012, the Shanghai Zhilong MiCheng, card games, in April the month income has reached $113 million, more than 60% of smartphone users in Japan are playing the game. Its development company GungHo earn rich thanks to the game, the market value even more than the old nintendo game company in Japan. China also has a lot of teams have launched similar card games, such as “I’m MT”, “big head”, and so on. According to relevant data to predict, the global mobile games end user revenues could reach $11 billion by 2015.